Join a gay group trip to Antarctica and set out on the adventure of a lifetime. 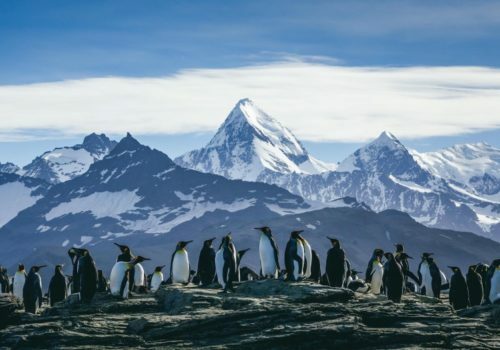 Exploring the vast landscapes of the White Continent, you’ll visit penguin-filled beaches, keep an eye peeled for whales and sail around icebergs. The itinerary set out below may change on account of weather conditions. There are so many things to discover in Antarctica we can guarantee this will be the ultimate bucket list experience. We’ll meet in the most populous city in Patagonia. Firstly we’ll have a trip briefing and then dinner. You’ll need to arrive in Punta Arenas by 3 pm. If weather conditions are problematic the cruise line may have to send guests on a charter plane. There are no refunds for guests who miss the charter plane. The charter plane will arrive in Antarctica within three hours. Following below, the ship will make its way to King George Island. The plane with land on the South Shetland Islands – this will give you your first glimpse of the landscapes of Antarctica. You’ll be able to wander around the dramatic landscapes before transferring by Zodiac to the ship. 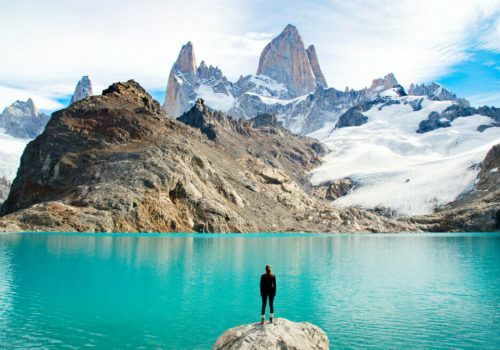 Approaching the White Continent your eyes will be dazzled by landscapes that are hard to describe. A team of experts will give you detailed information about the wildlife, geology and history of Antarctica. Your first Zodiac landing will take you to a beach full of penguins. You’ll have to decide which breed of penguin is your favourite, gentoo (pingu? ), chinstrap or Adelie. Take a Zodiac around Pleneau Island and search for whales and icebergs. Take a hike to a penguin rookery, hear the sound of a calving glacier and take lots of pictures. You’ll disembark at King George Island and fly over Drake’s Passage to Punta Arenas, where your adventure ends. Overnight in Punta Arenas. With memories to last a lifetime, you’ll get your return flight.